The Optentia research focus area at the North-West University’s (NWU’s) campus in Vanderbijlpark has quite a busy month ahead. One of the highlights is certainly the workshop by Dr Hannu Savolainen, professor in special education in the Department of Education at the University of Jyväskylä in Finland and extraordinary professor at Optentia. During the workshop, Dr Savolainen will discuss quantitative longitudinal research methods describing the logic of different quantitative designs and the most common analysis and statistical modelling options for them. The objective of the discussion will be to challenge the participants into thinking what kind of research questions can be answered with different research designs and analysis options. Analyses from past and on-going research will be used as examples of different approaches in answering research questions in a quantitative longitudinal research design. These include factor and path analysis, latent growth curve modelling and latent profile analysis, among others. Examples of analysis done with SPSS and M-plus will be used. In addition to being a world-renowned researcher, Dr Savolainen has been active in development cooperation within special education and inclusive education, in particular in Ethiopia and Zambia as well as in the Balkans area. He also played an important role in the UNESCO flagship programme “The right to education for persons with disabilities: Towards inclusion”, which formed part of the Education for All (EFA) programme. 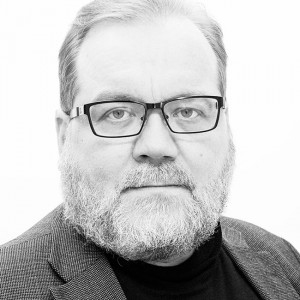 More recently Dr Savolainen has served as a member in the Finnish National Commission for UNESCO, and for six years in the Research Council of Culture and Society of the Academy of Finland. His major research interests lie with experimental and longitudinal research on school-wide positive behaviour supports and interventions, and international comparative education research on the roles, attitudes and self-efficacy of teachers in inclusive education. Dr Savolainen has had a long-standing interest in quantitative methodology in particular longitudinal methods and SEM modelling.